For further technical information on diaphragm seals and diaphragm seal systems see IN 00.06 “Application, operating principle, designs”. 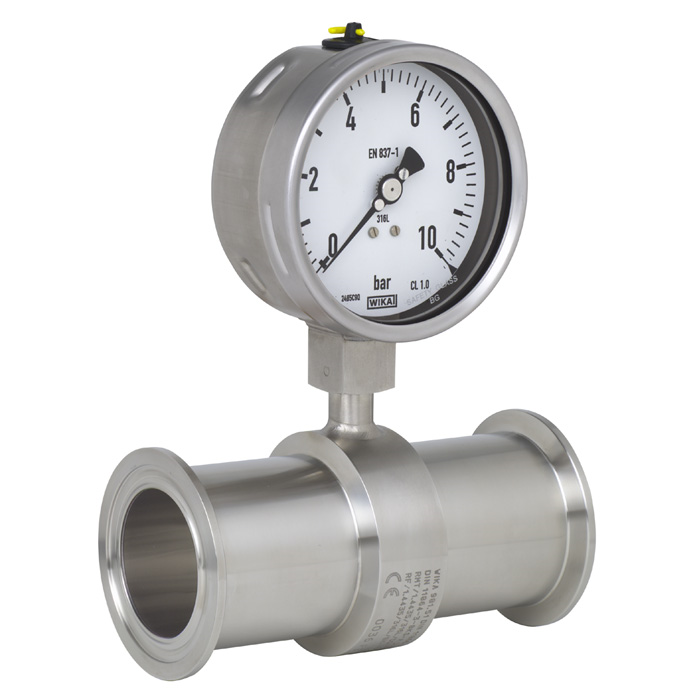 The model 981.51 in-line diaphragm seal with aseptic connection per DIN 11864 can be mounted directly into the pipeline, meaning no special measuring point connection is required. Through the integration into the process line, turbulences, dead spaces, corners and other obstructions can be avoided. For this diaphragm seal WIKA uses a completely round diaphragm, which, due to the unobstructed flow of the media, produces an automatic cleaning of the chamber. For the material selection WIKA offers a variety of solutions, in which the main body and the diaphragm are made of identical materials. Stainless steel 316L (1.4435) is used as standard material, other special materials are available on request. Measuring systems with model 981.51 WIKA diaphragm seals are successfully used in the life science industry, in food production, pharmaceutical and biotechnology applications.